[Feature Update] EventNook’s exciting new user interface! If you have accessed your EventNook page in the weekend or this monday, you would have notice that some things are different! In the recent weekend, we made some changes to our user interface. Let’s take a quick look at it now! The above image shows a brief screenshot of a sample ‘My events’ page. With the new interface, you will get a clean and neat layout while having more useful information displayed on your page, such as event date countdown, feature update and help guide. 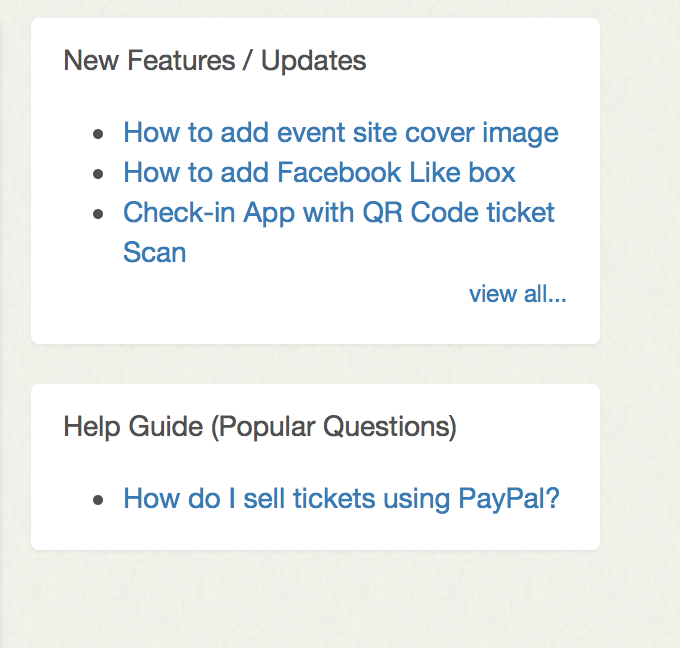 At the right column, we have added two fields of ‘New Features/Updates’ and ‘Help Guide (Popular Questions)’. 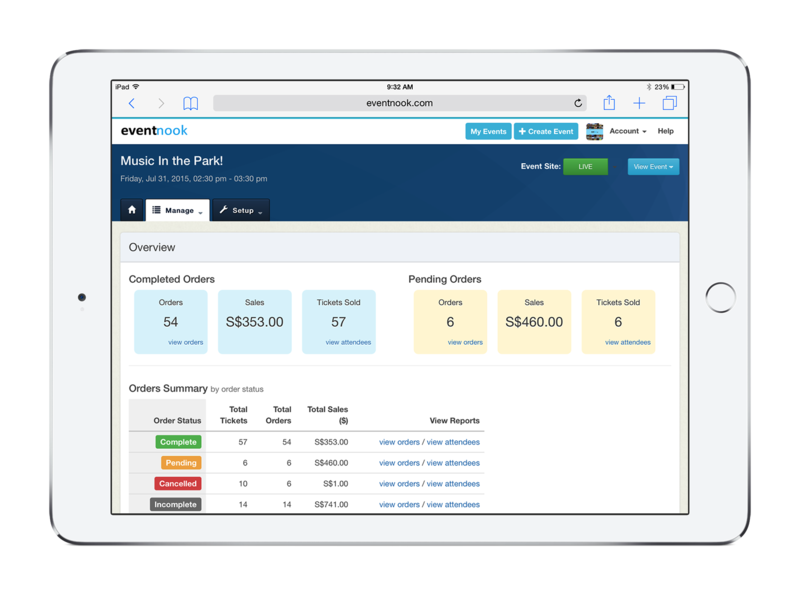 This will keep you updated and informed of how you can best make use of EventNook’s features for your events. Furthermore, it is exciting to note that the new version is more mobile-friendly! This will make it easier for you to view reports and manage registrations or ticket sales on your mobile devices at any time. The EventNook team would continue to work hard to deliver our promise of providing you with a user-friendly and hassle-free online event registration and ticketing site. Do try out our new interface and give us your valuable feedback!